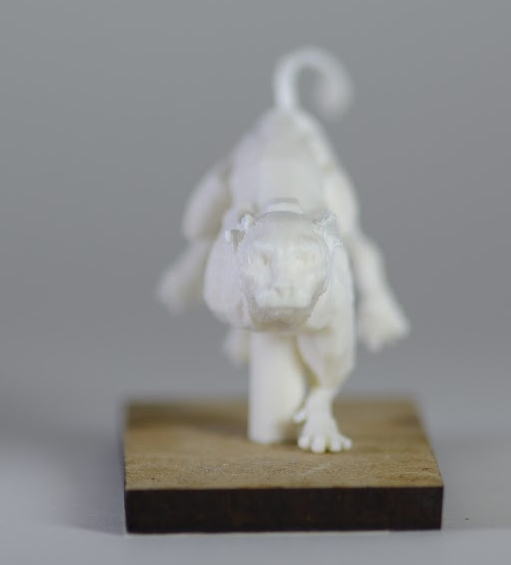 Fin Crowthers 3DP Stop Motion #3DxAnimation of Quadruped Run Cycles #3DThursday #3DPrinting « Adafruit Industries – Makers, hackers, artists, designers and engineers! 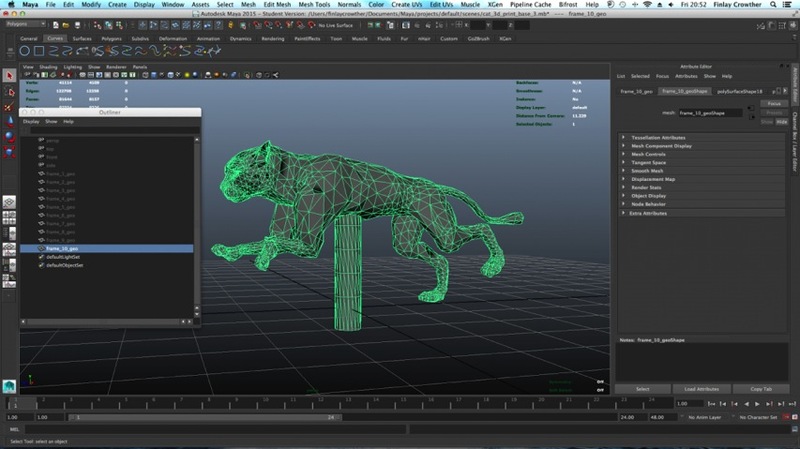 Fin Crowthers 3DP Stop Motion #3DxAnimation of Quadruped Run Cycles. Via 3DPrint.com. This is a project that I started after my graduation to keep me occupied whilst seeking permanent work in the industry. I had seen the viral video ‘Bears on Stairs’ by DBGL during my degree in Newcastle and since then it had always been playing in my mind that I’d like to make something similar should the opportunity arise. The opportunity to access 3D printing came about when I under took some temporary work as a model making technician within the Design Development Centre at Huddersfield University. With the help of some digital tutors tutorials (mainly because I was interested in rigging and animating a quadruped and had never done so before) I modelled, rigged and animated the quadruped’s run cycle in Autodesk Maya. The run cycle run was a 10 fame loop running at 24fps, meaning that I needed to print 10 different poses off on the printer. Taking each frame of the run cycle I edited them to have the support, fit on a base and then cleaned up the mesh to make it water tight and ready to print before exporting from Maya. This was roughly 24 hours of work over about a week in my spare time. 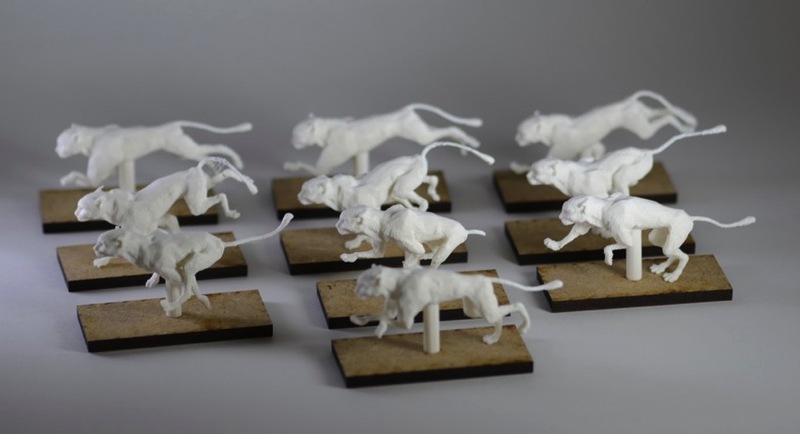 The prints were printed using the Stratasys Fortus 360mc and each print is approximately 6cm long and 3cm high. A base for each print was cut out on a lazer cutter and then each print had to be photographed in exactly the same position as the last. I used Adobe After Effects to loop the photos taken of the prints before exporting as a video file. The printer took about 10 hours to print the 10 models and an hour or so to photograph. It has been a valuable experience using 3D printing and I hope to experiment and work with it more on upcoming projects.